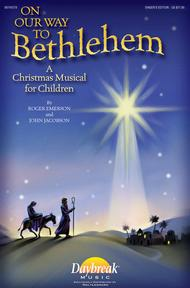 A Christmas Musical for Children. Composed by John Jacobson/Roger Emerson. Daybreak Christmas Choral. Young Choir, Christmas Sacred, Collection, Children's Musical, Christmas, Youth Choir. Published by Daybreak Music (HL.8745579). Take the journey – then and now – to Bethlehem. 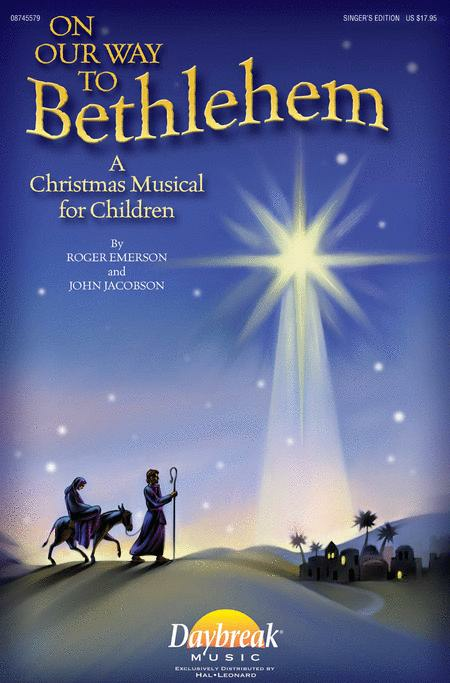 This 25-minute musical is a perfect way to showcase younger children, who can portray Biblical characters in rhyming dialog, while older youth share the significance of the journey to the manger as it relates to today. The easy-to-learn songs add to the telling of this meaningful story.Available separately: Director's Manual, Singer's Edition 5-Pak, ChoirTrax Accompaniment CD, Preview CD, CD 10-Pak, Preview Pak.